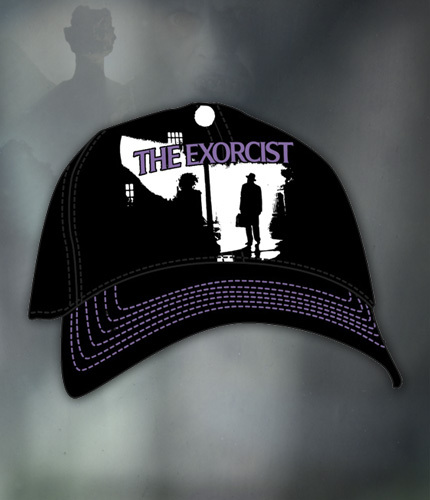 Kick back in this embroidered baseball cap from the most terrifying movie of all time: The Exorcist! The front features images from the movie and The Exorcist logo. “THE DEVIL INSIDE” is stitched on the back. The black and purple cap has a flex-fit band for a perfect, comfy fit. Made of breathable cotton/spandex. Machine washable.